The Soviet Ambassador Lysenko (excellently played by Joss Ackland) is wearing a red, flag-shaped lapel pin. The President’s National Security Advisor Mr. Pelt (also excellently portrayed by Richard Jordan) is likewise wearing a US flag lapel pin. However, the ambassador’s pin is not a simple Soviet Union national flag. 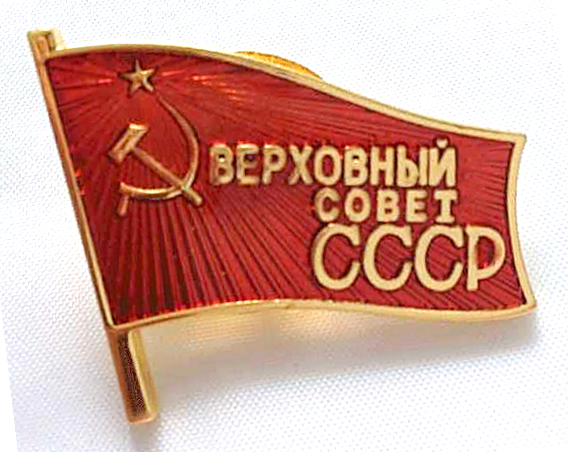 Upon closer inspection, it appears to be emblazoned with the text “ВЕРХОВНЫЙ СОВЕТ СССР,” “Supreme Soviet of the USSR.” This was the most powerful legislative body in the Soviet Union. Similar (almost certainly replica) pins can be found for about $15 on Ali Baba, or for ludicrously high prices on eBay. 35 entries! And only 69 days ’til Halloween! And, yes, the field behind the star is supposed to be black. The drawings were very specific. For Sale: Alien: US Tricentennial 2076 Symbol Shirts! 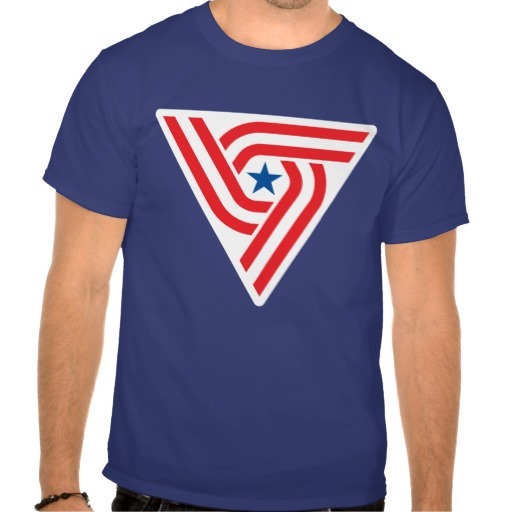 Now available: a US Tricentennial shirt, on light or dark backgrounds. May I suggest the ‘deep royal?’ Or perhaps black? Or white? 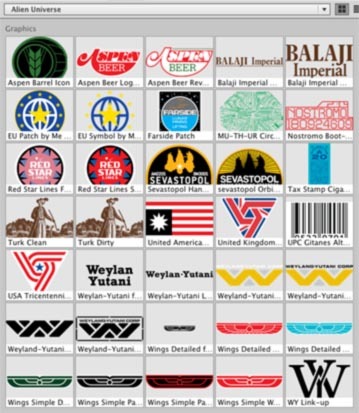 Author Staff WriterPosted on August 15, 2015 Categories DesignTags 2076, Advertisement, Alien, Flag, Ron Cobb, USA, ZazzleLeave a comment on For Sale: Alien: US Tricentennial 2076 Symbol Shirts! Designed by Ron Cobb in 1978, vectorized by me in 2015 with mathematical precision. Now available on light and dark tees. May I suggest the ‘dark royal?’ Note that the blues are close, but not an exact match… Perhaps black, then?